Are you tired of the expense and hassle of painting your home every few years to keep it looking its best? Do you want an alternative to a traditional wooden exterior while maintaining the architectural integrity of your home? Consider Mastic Siding. Mastic is one of the leading manufacturers of vinyl siding in the United States. They offer a diverse product line, ranging from traditional siding strips to siding shingles that give a home the look of cedar shake with a fraction of the maintenance and cost. Mastic products come in an array of colors, from white to wedgewood blue to russet red. 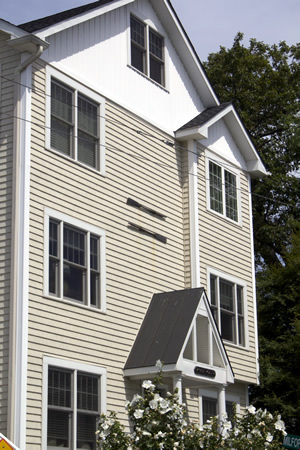 Mastic siding offers an affordable, easy-to-maintain alternative to traditional wooden siding. Mastic siding also offers another layer of insulation against the elements, a big help on energy bills during the bitter New England winters. Do you live along the coast? Mastic makes siding that will withstand windspeeds of up to 240 mph. 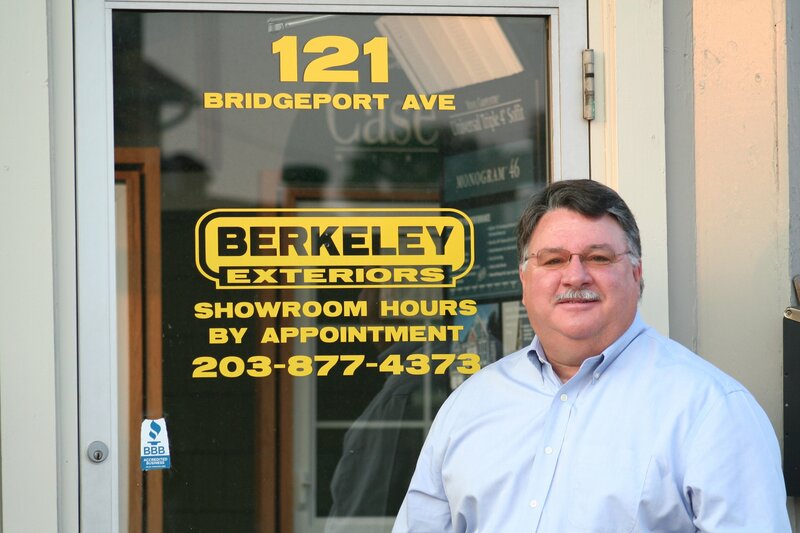 If you're looking to beautify the outside of your home while making it easier to take care of and more energy-efficient, let Berkeley Exteriors guide you through the steps of choosing, ordering and installing siding for your home. We have nearly two decades of experience in exterior home improvements and we're a locally-owned, locally-managed contractor, not a company that's here one season and gone the next. Our installers are all company employees, most of whom have been with us for several years. We're proud that the majority of our business comes via referrals from satisfied southern Connecticut homeowners like you. When you're ready to get started choosing siding for your home, give us a call at 203 877-4373 to set up a free consultation.